"A brilliant time had by all - great bedrooms and all home	comforts - everything that we needed!" 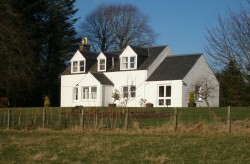 Welcome to Nether Whitlaw Farm Cottage, situated near Selkirk in the heartland of Scottish Border country. From the rural idyll of the Scottish Borders our holiday cottage offers a peaceful and relaxing retreat for holiday breaks plus a wealth of outdoor pursuits - on your doorstep. Choose from a range of activities nearby - from walking, fishing and shooting, to horse-riding and golfing. And at just an hour from Edinburgh&apos;s bustling city centre, you&apos;re never far away from the theatre, opera, city shopping and fabulous restaurants. Our 4 star holiday cottage is open to rent all year round and we welcome families as well as 1-2 dogs. Please take a moment to look through the cottage information on our website and download a pdf version of our cottage holiday brochure. With instant price and availability checks and easy online reservations, booking your holiday with us couldn't be simpler. We look forward to welcoming you to Nether Whitlaw Farm Cottage!